To use, place a patch over the undereye area, leave on for about 15 minutes (I keep them on a lot longer), then remove gently and discard. I haven't reused these so far, but I did read reviews where people mention reusing these - place the patches back in the tray they come in and store the whole thing in a Ziploc bag to reuse. Any residue left on the skin can be patted into the skin, though I haven't had anything much left behind to pat in. Tarte claims these patches are infused with a proprietary antioxidant-rich Rainforest of the Sea complex that hydrates and soothes the undereye area and fights puffiness, dark circles, and crow's feet. The formula is heat-activated, and the patches are designed to help maximum absorption of the serum into the skin. They feel cool on the skin and easily adapt on to the undereye skin. 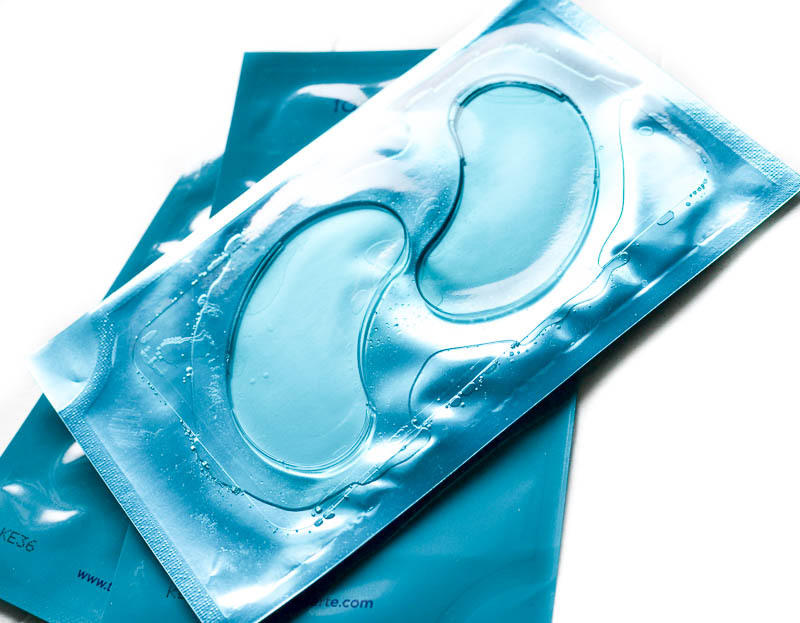 After using these patches, the skin under the eyes looks smooth and hydrated, and fine lines are less noticeable. The effect lasts about a day or two, and while these patches do not provide any dramatic wrinkle-reversal, the skin along the undereye area does look and feel healthy and plumped up (moisturized plump - not baggy plump!). 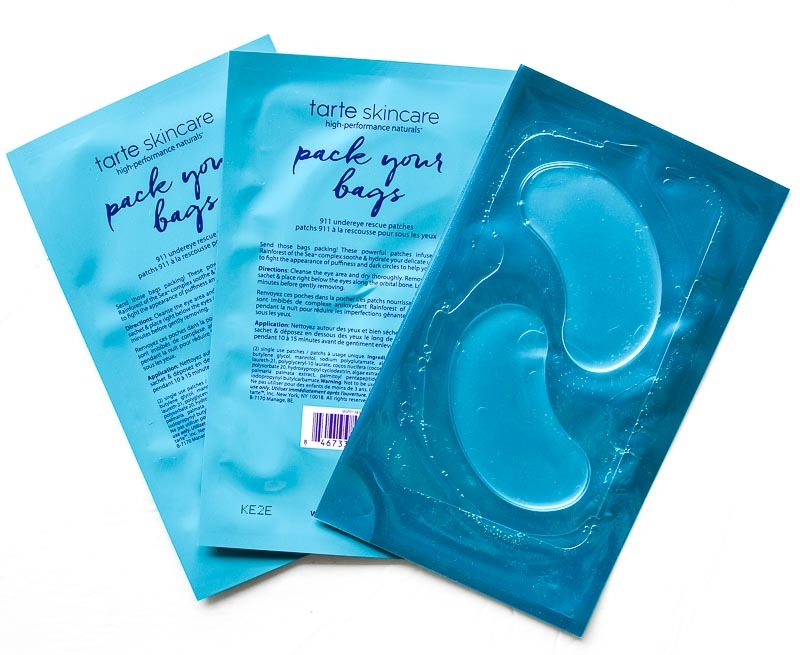 The Tarte Pack Your Bags 911 Undereye Rescue Patches deliver on the claims of reducing dark circles and making me look like I had a good night's sleep. The effects last about a day or two, and while these are not meant to be a replacement for a targeted eye cream, they are perfect to use as a quick soothing, hydrating treatment for the undereye area. 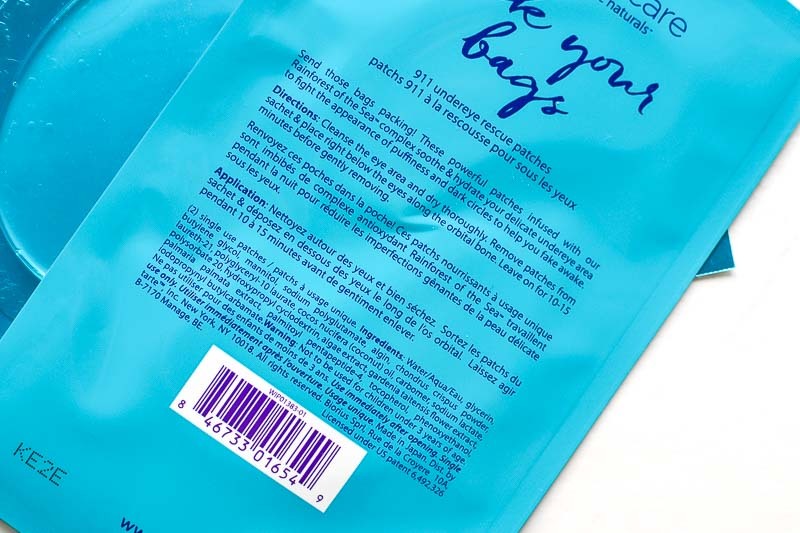 Because these patches are translucent - and a little less noticeable than putting on a whole face sheet mask - they are also great for using on long-haul flights. As a bonus, makeup/concealer goes on on a lot better after using these patches. Give these a try the next time you are in the mood for a stay-at-home spa day!